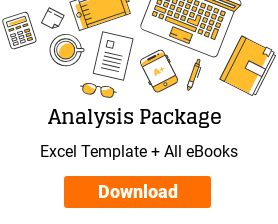 We learned in Part 4 that detailed analysis of any company & its stock involves: Financial Analysis, Valuation Analysis, Business & Industry Analysis and Management Analysis. 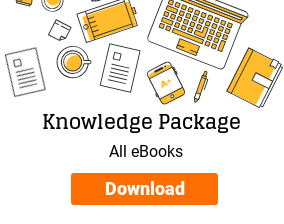 We have already covered financial and valuation analysis in previous articles in this series. 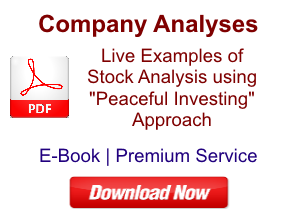 The current article deals with business & industry analysis of any company & its stock. This article also contains answers to some of important queries about business & industry analysis asked by investors. Business & Industry Analysis (BIA) involves analyzing the current situation of the industry in which any company operates and finding out the strengths of the company, which would help it grow its operations at a faster pace in comparison to its competitors. It involves forming an opinion about whether the industry would grow in future and within this industry, whether our company would be able to gain increasing market share. BIA is one of the most contentious areas of stock analysis. I have never seen any two persons agreeing upon a common conclusion regarding industry & business prospects of any company or sector. If we take any industry, say infrastructure, one analyst would say that infrastructure industry is going to grow as India has huge shortage of good infrastructure and Hon. Prime Minister’s vision has significant focus on infrastructure development, hence, infrastructure companies would generate good returns for investors. At the same time, another analyst might say that most of existing infrastructure projects are stuck for approvals and all infrastructure companies are reeling under huge debt, hence, by the time investment cycle would revive, all these companies would have turned bankrupt. There is never a shortage of divergent views in BIA. Therefore, the more an investor discusses about BIA with different people, the more she is going to get confused. Hence, it is advised that every investor should have a fixed framework or checklist for conducting BIA for any stock. She should be guided by her framework/checklist while conducting BIA and should not deviate much. Else, the risk of her getting lost in analysis is very high. Warren Buffett calls such situation as “Analysis Paralysis”. One should avoid falling in the trap of analysis paralysis. I firmly believe that any investor who is willing to spend the required time reading the basic books on investing & conducting stock analysis on her own, would be able to make her BIA framework/checklist within a few weeks of effort. 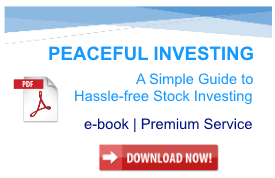 The usage of BIA in stock analysis depends on the stock investing approach being followed by the investor. BIA is done only in fundamental analysis approach of stock selection. Technical analysis does not involve BIA as the investor/trader following technical analysis is concerned only with the past prices and trading volume data of the stock and is indifferent to whether the stock is of a manufacturing, an agricultural or a financial services company. Fundamental analysis of a stock involves understanding the underlying business of a company, its products, customers, suppliers etc. If the investor follows Top-Down approach for stock selection, BIA would be the starting point of her analysis. She would typically follow the EIC (Economy-Industry-Company) approach as detailed in Part 2 of this series “Top Stocks to Buy”. She would first try to identify those economies (countries) of the world, which are expected to grow at a faster pace than other economies. Once she has found such economies, she studies them in detail and tries to identify the industries, which are expected to witness higher growth than other industries. Upon identifying high growth industries in selected economies, she tries to find out the companies in these high growth industries, which are expected to benefit the most from such expected growth. Moderately fast growers (20 to 25 percent) in non-growth industries are ideal investments. I follow the bottom-up fundamental investment approach. Therefore, I give more weightage to the business qualities of a company than the industry in which it operates. I try to find a company, which has shown good growth of sales & profits in past years. I consider such a company a good investment candidate irrespective of its industry. I try to focus on the performance of the company in comparison to its industry peers and try to find out if it has any business advantage over its peers. Warren Buffett calls this business advantage “Moat”. Many investors visit company stores, manufacturing plants, meet its customers, suppliers, vendors etc. If time permits, an investor should do these activities, as these will give her information that the stock markets are yet to come across. However, many individual investors including me, have limited time left after the daytime job and therefore, cannot go to the market and meet different stakeholders of the company. Therefore, I use secondary sources to identify parameters, which might act as a proxy to existence of Moat. There are many parameters, which can indicate whether a company has any distinct business advantage (Moat) or not. Consistent history of year on year (YoY) sales growth serves as a very good substitute to primary market research for finding out Moat. It has served me well to identify good companies, which have grown their market share consistently over the years. If a company has minimal or no growth in its sales for past 10 years, then it is certain that it does not have any Moat. Whereas a YoY sales growth of 20% or more indicates that, the company is doing something that is rewarding it with higher sales. We can see the significant different in the business growth of SCI and Vinati over 10 year period of 2005-2014. Given a choice, an investor should always avoid companies which show minimal/no growth over extended periods in past e.g. SCI which has grown at a meager rate of 2%. No wonder that SCI has eroded wealth of investors over last 10 years as its market capitalization has decreased from INR 4,000cr (40 billion) in 2005 to INR 3,000 cr. (30 billion) currently. On the contrary, during the same period, Vinati increased its sales at a growth rate of 34% and created huge wealth for its shareholders. Its market capitalization increased from INR 18 cr. (0.18 billion) in 2005 to INR 2,200 cr. (22.00 billion) currently. Alternatively, we can compare the value of INR 1,000 invested in SCI & Vinati in 2005 with its current value. In SCI the original investment would have reduced to INR 746 where in Vinati it would have increased to INR 120,000. However, the criteria of high sales growth should not be taken at face value. Sales growth must be analysed in detail to conclude whether the company has genuine business advantage leading to growth or it is fudging its accounts to show high growth. If a company has sales growth of 20% YoY for past 10 years whereas its peers are growing only at 10% or less, it might have a Moat. However, if all the peers are also growing at same pace, then the company might not have any distinct advantage. Let us compare sales growth of Vinati, which is a specialty chemical company, with other companies of the same industry during 2005-2014. The table below contains sales figures of each company over 10 years period from 2005-2014. Figures are in INR Crore/10 millions. We can see that sales of Vinati have grown at a rate of 34%, which is more than the growth of Clariant (14%) and Anil Ltd. (19%). It leads us to conclude that Vinati has some advantage (Moat) over and above its peer that is helping it to grow at a faster pace. Sales growth can come from two sources: increased price of product per unit and increase volume of sales (number of units sold). If a company were able to increase price of its product consistently without decline in demand of its product, it would seem great at first instance. However, if sales growth over years is driven solely by increase in product prices and not by increase in sales volume, then it is an unsustainable growth because over time, other substitutes of the product will appear in the market and the company would face irrelevance. Therefore, it is important that the company, apart from increasing prices, should also increase its market reach by selling its product to more and more customers. The data of units of product sold by company over years is available in the annual report of every company. Thus, we can see that Vinati has achieve its growth in sales from INR 49 cr. (0.49 billion) in 2005 to INR 696 cr. (6.96 billion) in 2014 by increasing its sold quantity from 6,167 tonnes to 54,737 tonnes and by increasing price per tonne of its products from INR 79,325 to INR 127,177 during the same period. This pattern is very healthy as the increase in product prices has been at an annual growth rate (CAGR) of 5%, which is in line with the inflation rate during 2005-14 and, thereby, easily acceptable to consumers. Most of the sales growth by Vinati has been by finding more & more consumers for its products. These consumers had choices of buying products from Vinati’s competitors and buying substitute products. However, they decided in favour of Vinati. This is a strong sign of distinctive business advantage (Moat) enjoyed by Vinati. A company, which has a distinct business advantage (Moat) will generate increased profits with increase in sales. Many companies increase their sales by spending a lot on unnecessary capacity additions; heavy sales, marketing & advertisement push which leads to short term increase in sales. However, high expenses in terms of interest on debt taken to fund unnecessary capacity and marketing expenditures ensure that the growth in sales does not benefit shareholders in terms of increased profits. Therefore, it is paramount to check whether increased sales have led to equivalent growth in profits. Sales growth without increase in profits means that there is no business advantage. Let us see how Vinati fairs on this parameter. Figures in the table are in INR crore/10 million. We can see that Vinati has not only maintained its profitability over the years but also increased its profit margin from 7% in 2005 to 12% in 2014. This increased profitability has led to Vinati’s profits to grow at higher annual rate (CAGR) of 44% against sales CAGR of 34%. These are signs of a definite business advantage (Moat). To compare we must see example of a company, which has increased its sales over the years but was not able to maintain its profitability. Tata Steel is a good example of one such company. Figure in the table are in INR crore/10 million. We can see that Tata Steel grew its sales a very good rate of 28% over 10 years from 2005 to 2014. However, most of this growth came from acquisition of Corus in 2007-08, which was funded by taking huge debt. The company had to pay huge interest on the debt it had taken. Its product is steel, which is a commodity product, where buyer can easily use steel of any other company to replace steel from Tata Steel, thereby offering no distinct business advantage. The result was that the company could not convert its growth in sales into higher profits. Despite about 10 times increase in sales from 2005 to 2014, its profits were stagnant at 2005 levels (No profit growth in 10 years). It even reported losses in 2010 and 2013. Let us compare how much INR 1,000 invested in Vinati and Tata Steel in 2005, would have been today. We can see that INR 1,000 invested in Vinati in 2005 would have become INR 120,000 currently, whereas the same money if invested in Tata Steel would have become only INR 2,372 currently. Therefore, an investor should avoid companies, which are not able to convert its increasing sales into profits. Such companies do not have sustainable business advantage and are not good investment opportunities. “A company that sells any product today might not receive its payment immediately. However, it is legitimately eligible to receive it. Therefore, accounting standards allow it to report this sale and its profit in the P&L. However, the money received from buyer will be reflected in cash flow from operations (CFO) only when the money is actually received from the buyer. Therefore, if we compare profit after tax (PAT) and CFO for any one year, they would differ from each other. However, over a long time, cumulative PAT and CFO should be similar. Let us see whether Vinati is able to convert its profits into cash. Figures in the table are in INR crore/10 million. Thus, we can see that profits generated by Vinati over the years have been collected in cash. It ensures that profits are not inflated or fictitious. This confirms that the business advantage (Moat) enjoyed by company is for real. Any company can do two things with the profits it generates from its operations. Either it can distribute all the profits to its shareholders or it can retain some/all of it with itself to invest for growth of operations. Any company, which has a sustained business advantage (Moat) will generate greater value for its shareholders from the profits it retains with itself after paying dividends. Warren Buffett says that any company must generate at least $1 in market value for every $1 it retains with itself. Let us check how Vinati and Tata Steel compare on this parameter. Figures in the table are in INR crore/10 million. Thus, we can see that Vinati Organics created the value of INR 7.13 for every INR 1 of profits retained for investment by it, whereas Tata Steel created only INR 0.81 of value for every INR of profits retained by it. In effect, Tata Steel destroyed the value of shareholders’ money that it decided to invest in its own business, which does not have any distinctive business advantage (Moat). On the contrary, we can see that Vinati Organics has generated huge value for its shareholders because of the distinctive business advantage it enjoys. Thus, we can see that an individual investor, who do not have enough time and resources to conduct primary market research like visiting company stores, manufacturing plants, meet its customers, suppliers, vendors, interacting with industry stakeholders, experts etc., can also identify companies with distinct business advantage (Moat) and create wealth for herself in the long term. In the current article, we learnt about business & industry analysis (BIA) of a company before investing in its stock. We learned that in bottom-up fundamental analysis, an investor should not worry about the industry in which a company operates. Instead, she should focus on identifying companies with sustainable distinct business advantage (Moat). We learned that the individual investor, who does not have enough time & resources to conduct primary research and interact with different shareholders, should analyse sales growth shown by a company in past, in detail to identify whether the company has signs of Moat. We learned that for identifying companies with sustainable business advantage (Moat), an investor should focus only on companies, which have shown good growth rates in their sales (>15-20%) in past. She should conduct in depth analysis of factors of sales growth and other tests to find out whether the sales growth is due to Moat or management aggression for expansion or accounting jugglery. Comparison with industry peers: The Company must show sales growth higher than peers. If its sales growth is similar to peers, then there is no Moat. Increase in production capacity and sales volume: The Company must have shown increased market penetration by selling higher volumes of its product/service. Sales growth that comes only by increasing price of the product is not sustainable as over time, substitute products start appearing in the market. Conversion of sales growth into profits: A Moat would result in increasing profits with increasing sales. Otherwise, sales growth is only a result of unnecessary expansion or aggressive marketing push, which would erode value in long term. Conversion of profits into cash: Increasing profits due to Moat must be collected as cash. Otherwise, either the profits are fictitious or the company is selling to any John Doe for higher sales without having the ability to collect money from them. Creation of value for shareholders from the profits retained by the company: The Company with Moat will create significantly higher market value for its shareholders for every INR of profits retained by it. If a company were destroying value of shareholders money, it would never have a Moat, however fast it may show its sales to be growing. Thus, if an investor can find a company, which has shown high sales growth (>15-20%) over last 10 year and which can pass the test of 5 parameters discussed above, then she can be certain that she has found a company which has a sustainable business advantage. Such companies have the potential to create significant wealth for their shareholders over long periods. She should invest in such companies and stay with them for decades. Investors around the world use many more parameters to judge presence of Moat. Return on Equity (ROE) and Return on Capital Employed (ROCE) are the prominent parameters being used by many investors for this purpose. However, I am not a great proponent of ROE and ROCE and I believe that if an investor can test the company on above 5 parameters, then she can be reasonably certain that the companies invested by her have strong indications of distinct business advantage (Moat). This concludes the current article on business & industry analysis of a company. In future articles on the series “Top Stocks to Buy”, I would discuss the management analysis and taking final investment decision about a company. Let us now address some of the important queries related to business and industry analysis asked by investors. 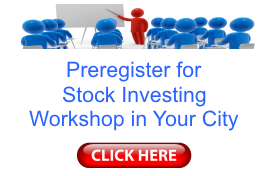 Investors’ Queries: How to do Business & Industry Analysis of Companies? Where to get the important data about the company’s business? 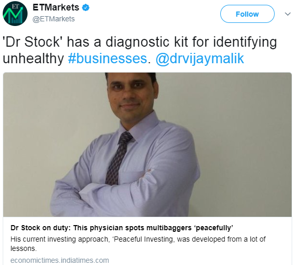 I honestly have learnt a lot from your blog and I have started my analysis on the stocks as you have described in this blog. But I am facing a problem with the available data in the internet. Like in the Business Analysis segment as you have mentioned to check for a parameter “Increase In Production Capacity And Sales Volume” but for this the quantity sold (i.e. Sales Volume) and Price is not available in all the annual reports of a company even the production capacity is also sometimes not there like other data we can have from Balance Sheet or Cash Flow Statement. Is there any alternative source to find those data? You are right that the information of production capacity and volume is many a times not available in the annual report. You may try to get it from either credit rating press release of the rating agency, which would have rated the company or from any equity research report, if publicly available. Otherwise you might need to contact the management of the company to get the necessary data. Read: How to contact companies for clarifications and additional information? I would like to have your feedback on this series of articles. It would be very helpful if you can tell the readers about the parameters you use for analysis of companies & their stocks. I have used the financial data of various companies provided by www.screener.in and their annual reports for this post. How to Analyse New Companies in Unknown Industries?